In this article we are looking at what features the much anticipated iPhone 5 could have when it is released. Please leave your thoughts or “wishlist” in the comments section below! Better Battery Life – There has been a lot of talk about whether Apple is actually able to increase the battery life of iPhones once again. Since Apple started producing the iPhone, they’ve increased the battery life each and every time that they released an iPhone. This is the main reason why people are expecting it again. However, it’s hard to believe this considering that more and more features are being added to the iPhone each year which consume a lot of battery as well as Apple not wanting to make the iPhone any heavier or thicker! Larger Screen – At the moment, the iPhone has a 3.5” screen which many people are perfectly happy with. However, since a lot of newer smartphones have a larger screen (mostly 4.3”) a lot of rumours have started saying that Apple is planning on doing the same. It’s hard to know whether Apple will follow the market, since Apple are usually the ones who make other companies copy them. Brand New Design – Pretty much everyone thinks that Apple will design the next iPhone from scratch without using any of the same designs that they’ve used on past iPhones. This is probably one of the more likely things to expect from the new iPhone since the iPhone 4 and the iPhone 4S were like twins, although they were completely different on the inside. Memory Card Slot – Will Apple finally give in and add a memory card slot to the next iPhone model? Most people don’t think that Apple will even think about this one, but who knows? The reason why so many people believe that Apple won’t do this is because it’ll result in much lower revenue for them since they charge much more money for a 64GB model compared to a 32GB version even though an extra 32GB of memory doesn’t cost that much extra. Since memory cards are very cheap, this could make more people buy iPhones though since they’ll be able to store much more data without spending a fortune. Better Processor – One can only expect Apple to build their next iPhone with an even better processor that that the iPhone 4S has. The iPhone 4 had an A4 processor while the 4S has an A5 processor, so surely it’s not a crazy idea to assume that the next iPhone model will have an A6 processor? Hopefully Apple agrees with this so that people will be able to browse online and do any task on their iPhone even faster than before. If Apple does go ahead with this, it’ll easily make the iPhone the best smartphone on the market at the moment. 4G – So many people are expecting Apple to add 4G capabilities to the next iPhone model that there will be a lot of unhappy people if they decide not to add it! In simple terms, 4G will allow iPhone users to go on the internet with much better download speeds than before compared to 3G. Since there are some smartphones that already offer 4G internet speeds, it could be a very bad move for Apple if they stick with 3G. Are you an iPhone owner? or has something put you off buying an iPhone in the past that you think they could fix? 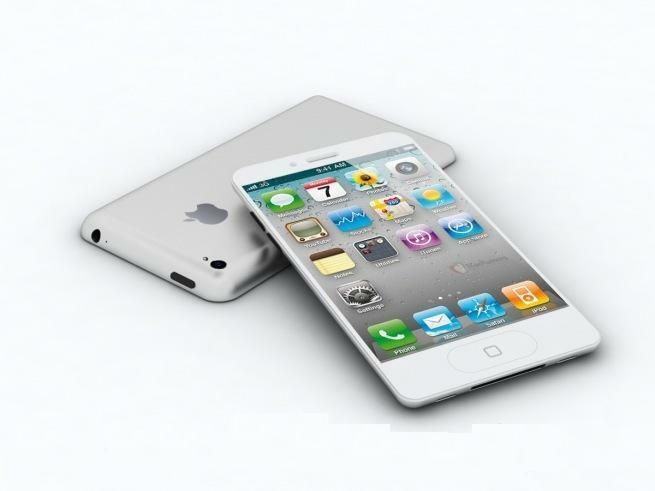 What features would you like to see in the iPhone 5 once it is released? Please leave your comments below. The popular Samsung Galaxy Ace smartphone has been upgraded to the Plus version and is expected to be released in early 2012 in Russia. Later releases include Europe, Latin America, Asia, Africa and the Middle East. This smartphone is expected to be released in the UK during the later part of 2012. With an Android platform that fits into the mid-range arena, this phone sounds like an exciting choice. This upgraded smartphone looks very similar in appearance to the earlier Galaxy version. 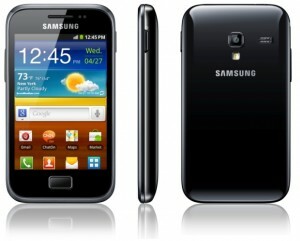 The Samsung Galaxy Ace Plus is expected to have a significantly improved hardware package that packs in a wallop of power. Instead of processing information at the previous speed of 800 MHz, this smartphone has a CPU that processes at a lightning fast pace of 1 GHz. Wow! In addition to its fast processing speeds, you can connect to the Internet world at a faster rate. This smartphone contains a HSDPA 7.2 Mbps connectivity feature. That is very impressive for someone who has little patience with waiting for information while using social media devices. Another benefit of the Samsung Galaxy Ace Plus is its larger storage capacities. With thousands of apps available in the Android marketplace, there can be concern about having the needed storage to properly use the apps you want or need. I don’t have to worry about that with this device since it has increased it apps storage capacity to 1 GB. Content storage is another area that has improved from the previous version, with the Samsung Galaxy Ace Plus upgrading its data storage to 2 GB. That is especially important for someone like me who depends upon having my documents and multimedia videos available any time my business requires them. If memory is a concern to you, look no further than this smartphone since it has almost doubled from its predecessor version. Instead of having 278 MG of memory, as the Samsung Galaxy did, this powerful device contains 512 MB. The Samsung Galaxy Ace Plus fits into your hand comfortably and measures 115 x 63 x 11mm. The inside of the phone contains an impressive-size 1300 mAh battery which provides hours of backup power. This size fits nicely into pockets, making it convenient to carry around throughout the day. The size is also ideal for smaller-sized hands which sometimes find smartphone usage too cumbersome. Since this smartphone runs Android 3.0, it is expected to offer more multimedia features, such as a 3 GB internal flash to enhance video or picture-taking functioning. The back of the device has a 5 megapixel camera with an LED flash. In addition to all of this, this powerful device comes with a multitude of social networking plus features that make living in a social media world possible, such as Samsung’s TouchWiz user interface. The screen has increased in size slightly, from 3.5″ to 3.65″. On the negative side, though, the resolution has stayed the same. This causes the viewing screen to appear grainy. Screen resolution is the only drawback expected in this smartphone. The Samsung Galaxy Ace Plus contains a number of other beneficial features including a multimedia player, Bluetooth, an FM radio and an integrated GPS. Anyone who needs directions will appreciate the GPS feature and its capabilities. This smartphone also supports WiFi connectivity and 3.5G, which is essential for a mobilized marketplace. Overall, the Samsung Galaxy Ace Plus is a much improved version that promises to satisfy many smartphone users. 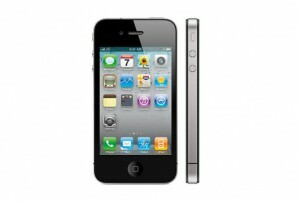 When is the iPhone 4s coming out in the UK? The ‘Let’s Talk iPhone’ event, held at Apple’s Cupertino campus was where industry experts were expecting the announcement of the iPhone 5 – however Apple’s marketing chief, Phil Schiller, revealed that there wouldn’t be an iPhone 5 this year because there isn’t one…yet. Schiller spent nearly two hours explaining the finer details of iOS 5 before announcing the launch of the iPhone 4s which will become the latest device in the series. Apple’s iPhone 4s represents an improvement over the most popular iPhone elements that are already in place in older iPhone models – think of it as the perfection of what works instead of the revolution in smart phone technology that some of the previous releases have been. No, this isn’t an iPhone 5 – but it’s a damn good phone with an amazing camera, lightning speed and “intelligent” assistant SIRI voice-recognition technology that simplifies making calls, sending texts and searching information by speaking, without pecking out your words haphazardly on the screen. The first thing you’ll notice about the iPhone 4s is that it looks pretty much exactly like the iPhone 4 with its cool, “old Leica Camera” inspired design. Inside, however, the 4s is packing a Dual-Core A5 processor that Apple claims offers up to “2x more power” and “7x faster graphics.” Testing that, you’ll notice the speed at work – especially when using the camera which offers an amazing 8-megapixels . Your pictures will snap so much faster in this model than in older iPhones. Honestly, this camera is more fun to toy around with than the SIRI intelligent assistant features. We live in a world where people use their phones as a replacement for the point-and-shoot digital camera. Apple is smart enough to recognize this and has done a remarkable job perfecting the iPhone 4s camera to capture life as good as some of the consumer stand-alone cameras. Not only is there a larger photo sensor in this model, there is a better custom lens with 5 separate elements to capture sharp, crisp detail. In addition, there are in-phone cropping capabilities and your pics automatically post to iCloud for you without having to dock your phone through iTunes. The SIRI voice assist features allow you to search weather reports, call your spouse or search restaurants. It also handles commands like “tell my Dad I’ll meet him at 10am.” The application will prepare a text that says “I’ll meet you at 10am” that you can send with a voice command – no annoying keypad pecking needed. As far as making calls, the iPhone 4s features two antennae that are able to seamlessly switch one to the other mid-call based on which one gets the better service – in theory, this offers less dropped calls and better reception, although depending on the limitations of your carrier network, this is still a possibility. The iPhone 4s also features a much-improved “Notifications Center” that organizes your messages for you by application, keeping you from being bombarded by notifications one after the other. It lets you manage this so much easier. While not the miracle previous iPhones have been, the iPhone 4s is still a sharp upgrade. As speculated, the iPhone 4S now features the A5 processor, the same chip found in the iPad. Like the Galaxy S 2, the iPhone 4S is now sports a dual core CPU which claims to offer graphics capability that’s 7 times faster than it’s predecessor – gaming on the iPhone 4S should be a real treat! More power normally means a reduced battery life, but according to Apple, the iPhone 4S’s juice will extend to 8 hours of talk-time, that’s an hour more than the iPhone 4. It’s come as no surprise that the iPhone 4S is 4G ready. Data transmission and download speeds are doubled according to Apple. In conjunction with this announcement, one of the more boring features is an improved ‘dual antenna’ system that offers a higher clarity voice transmission whilst reducing noise. Not much chance Apple would make a mistake in this area again after the fiasco of the iPhone 4 signal problems. The iPhone 4S features the same sized super-crisp retina display as the original iPhone 4, no complaints here. In fact, the iPhone 4S is exactly the same dimensions as the original iPhone 4. You now get an 8 Mega-Pixel snapper with real-time image stabilisation, face detection and super-fast shutter speeds unrivalled by even the most photo-competent competitors such as the Galaxy S 2. It’s been sometime since we were wow’d by voice recognition on a handset but the iPhone 4S take voice control to new heights. If you see someone walking down the street, talking to with their shiny new iPhone 4S, they may not be on a call. ‘Siri’ is the iPhone 4S’s voice controlled command center that can be asked practically anything. In the demo at the iPhone 4S launch, Phill Schiller asked Siri (the so called, humble assistant) questions such as “Find me a Greek restaurant in Palo Alto”. Siri replied in a somewhat disappointingly sat-nav-esque voice “I’ve found five Greek restaurants, and I’ve sorted them by rating”. He then proceeded to ask “How many days until Christmas?” to which Siri replied “82 days”. Apple say that Siri is only in beta at the moment (which probably means it’s pretty buggy), but this certainly looks like the coolest new feature on the iPhone 4S. Siri will only support voice recognition in English, French and German. Of course the iPhone 4S comes with iOS5, the cloud-centric update that offers auto-backup and synchronisation with all your Apple devices, even without connection to a PC. A messenger service to rival BBM is also present alongside new photo editing capabilities and social media integration. When is the iPhone 5 coming out in the UK? The iPhone 4S was released in the UK on 14 October. This was good news for Apple loving bargain hunters also as Apple has continued to sell the iPhone 4 and iPhone 3GS at discounted prices. The iPhone 5 release date is as yet unknown – Apple keep the information very close to their chests. You can be sure that the iPhone 5 will be available on all UK networks : O2, Orange, Vodafone and T-mobile << Sign up to get notified now to get your hands on the device when it launches! iOS5 Testing Delays iPhone 5 Launch? It’s been a turbulent ride for Apple fans eagerly awaiting the launch of the next generation iPhone, the iPhone 5. Blighted by delays, confused by conflicting rumours and not so much as a peep of an announcement from Steve Jobs nor his successor, COO Tim Cook. Whilst concrete facts surrounding the iPhone 5 remain scarcer than Nick Clegg at freshers week, there has been some definitive talk amongst pundits that point to an October release date for the iPhone 5. Whilst Apple haven’t so much as hinted that the iPhone 5 even exists, a simultaneous release with iOS5 (which is due to launch this Autumn) would certainly make a lot of commercial sense. The fact (did I just use the word ‘fact’ in an article about the iPhone 5?) is that the ’5′ MUST bring some significant hardware improvements to the table if iOS5 is to be released before the announcement of the handset itself. If not, Apple runs the risk of giving its customers all that’s great about iOS5 whilst failing to offer them any real reasons to upgrade. Other than NFC, 4G (which you can’t even use yet) and the inevitable yet superfluous camera and form tweaks, the rumour mill that surrounds the iPhone 5 doesn’t point to any ground breaking hardware improvements. If this is the case, Apple could do a lot worse in releasing the iPhone 5 and iOS5 together to create that ‘added value’ that marketing bigwigs thrive on. According to developers at Apple, further delays with iOS5 beta testing are causing concern. With Apple’s website stating an ‘Autumn’ launch for iOS5, its possible that these delays are in fact the cause of a belated launch for the iPhone 5.